Young Napoleon - first line reads: By the dangers of the ocean. 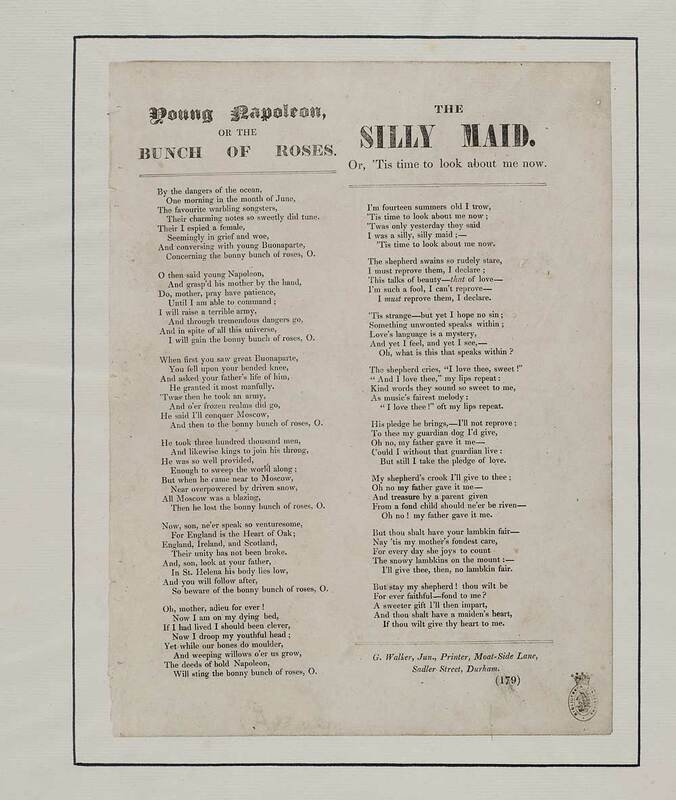 The silly maid - first line reads: I'm fourteen summers old I trow. In two columns. '(179)' is printed at the foot of the second column, beneath the imprint. Two ballads.